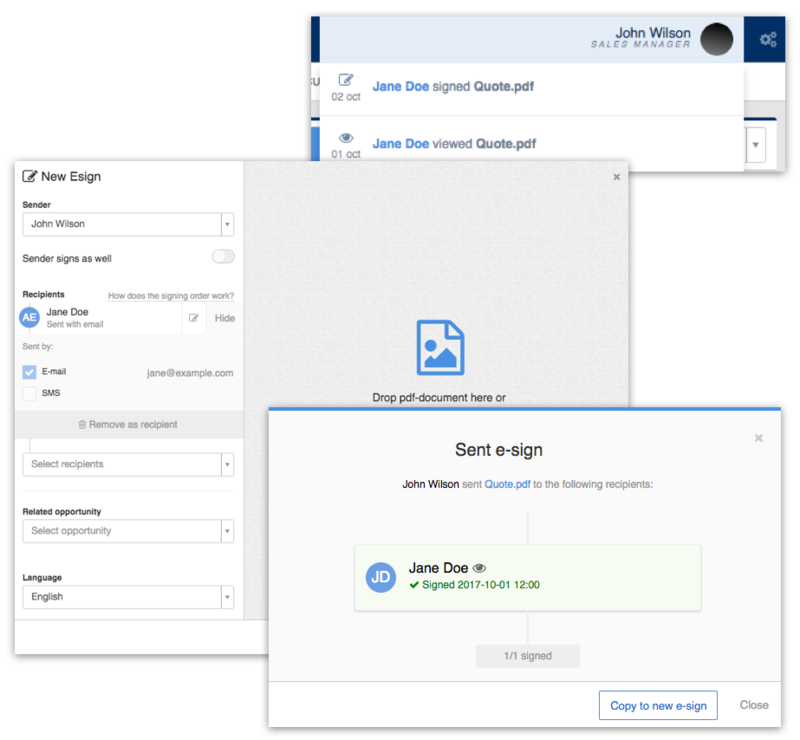 Let Upsales users use your E-sign service when they send documents to their clients. E-sign apps are tightly integrated in Upsales and keeps the users updated with real time notifications of recipient actions. When a user sends an E-sign, we'll make a request to your endpoint. You start the sign process and send webhooks to us once the document has been interacted with. Follow this tutorial and you'll integrate your E-sign service with Upsales in no time! Make sure you've read the introduction to Apps to get a general understanding of how an app is built and have your own Developer Account set up. When you configure the app, make sure to make it an E-sign app by setting its initiation to on. Once a recipient interacts with the document, you'll need to update it in Upsales. Read how to do this using webhooks and manual run of your app.